Mamoswine in game: 424 Who? Important notice! Pokemon Mamoswine is a fictional character of humans. Mamoswine (Japanese: ?? ?— Mammoo) is a dual-type Ice/Ground Pokémon introduced in Generation IV. Mamoswine resembles a wooly mammoth crossed with a boar. Its brown fur is very thick to endure harsh cold and protect from snow and ice. 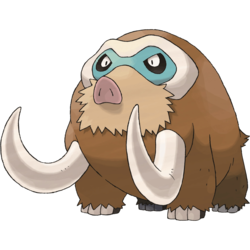 Its tusks, which are smaller on a female Mamoswine than on a male, are made of pure, solid ice. 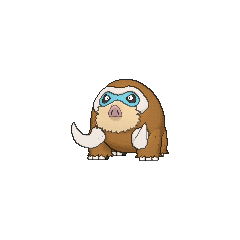 Mamoswine has a blue mask-like pattern with a white rim around its face. The fur on its muzzle is tan and shaggy, and its nose resembles that of a pig. Mamoswine's feet are black with three thick toes, and its tail is small. It can endure harsh cold and hunger for an almost indefinite amount of time, as indicated by a ten-thousand-year-old specimen reviving. Mamoswine lived all around the world during the last ice age, but its population thinned when the climate grew warmer. Dawn has a Mamoswine that evolved from a Piloswine in A Breed Stampede!. A herd of Mamoswine appeared in Giratina and the Sky Warrior with Regigigas. A Mamoswine appeared in Survival of the Striaton Gym! under the ownership of Morana. Platinum caught a Mamoswine and gave it to Diamond without using it, as it reminded her of the boy. He nicknamed it "Moo." In the Hawlucha Attack, X and his friends road on five Mamoswine while going through Kalos Route 17 to reach Anistar City, to meet Professor Sycamore at the Sundial. 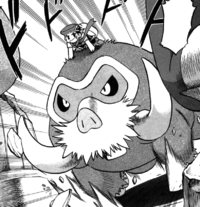 Koya has a Mamoswine was used in the battle against Hareta. It took down Regigigas with a single Take Down, then used Hail in combination with its Snow Cloak to dodge Empoleon's Hydro Pump. However, Hareta was able to feel the vibrations composed by Mamoswine's charge, allowing him to locate and defeat it. Mamoswine and its evolutionary family can hit the most Pokémon with a super effective move they gain STAB from, with nine: Flying, Poison, Ground, Rock, Steel, Fire, Grass, Electric, and Dragon. 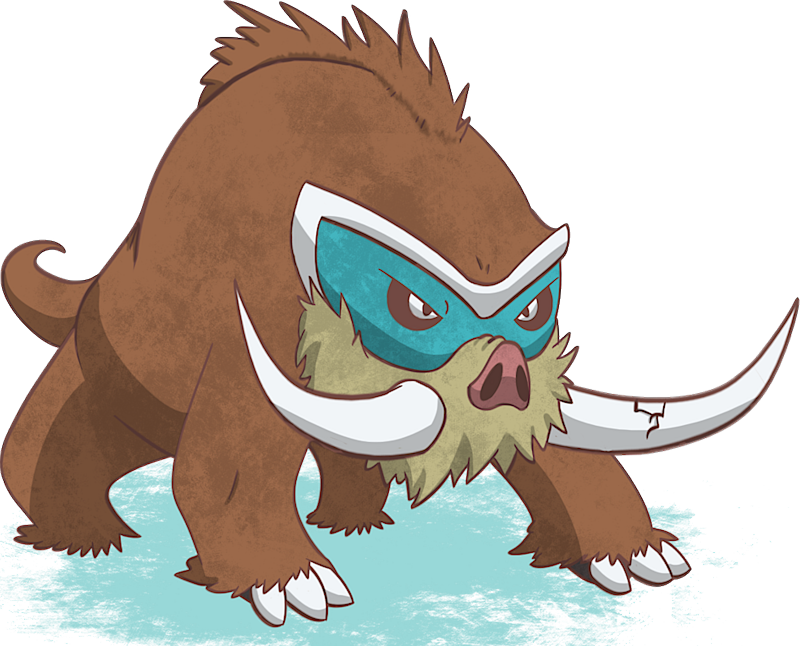 Mamoswine appears to be based on a combination of a woolly mammoth and a wild boar. 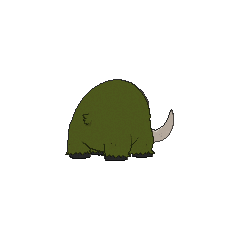 Mammoo may be a combination of mammoth and ???? bubu (onomatopoeia for oinking). Mandarin Chinese ??? / ??? Xiàngyázhu? From ?? xiàngyá and ? zhu?